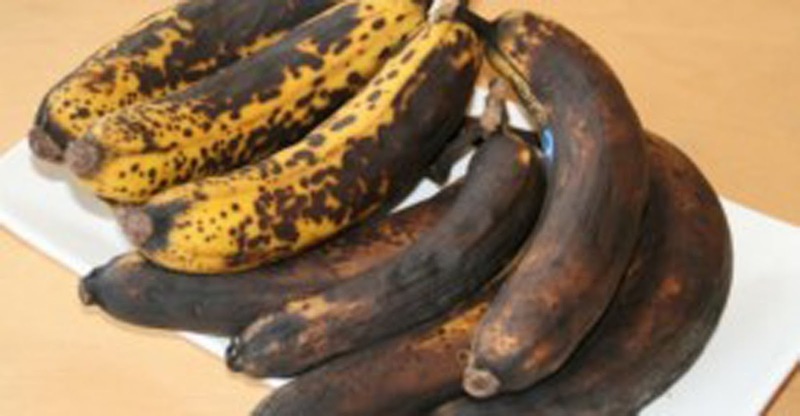 When you find out what you can do with overripe bananas, you’ll never want anything else again! It's super fast - first, smash the bananas with a fork. Get it nice and mushy. Beautiful! 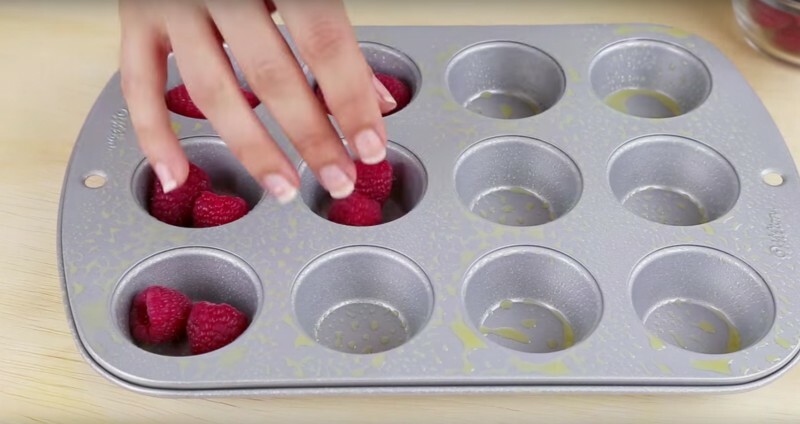 Grease the muffin tin with butter or oil and place two to three raspberries in each depression. 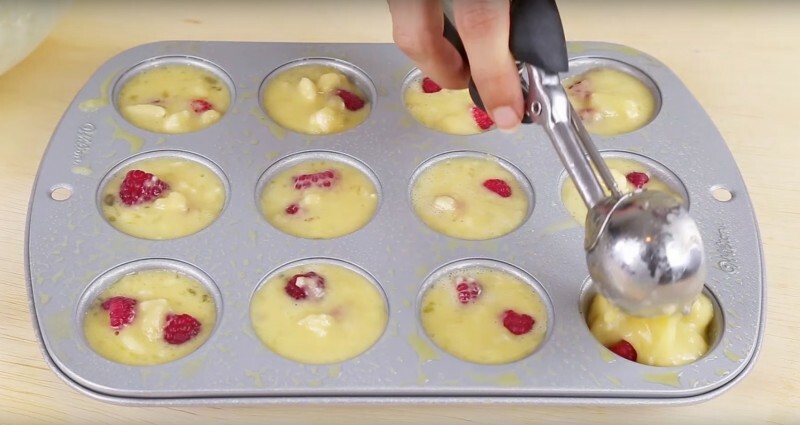 You can add a few more if you are using frozen berries. 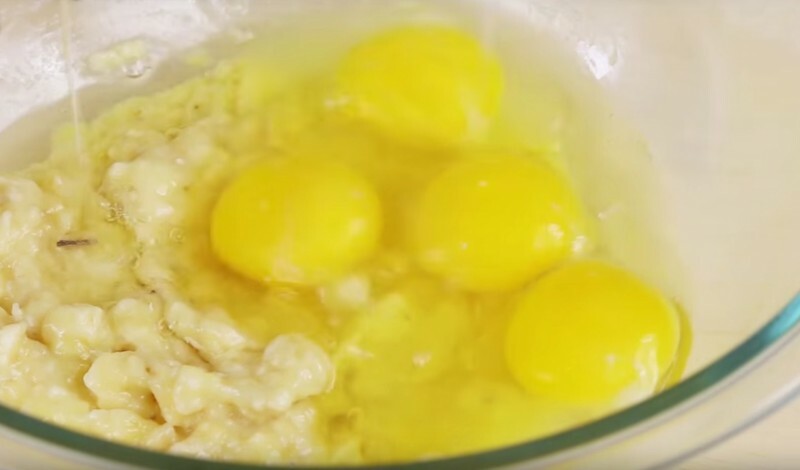 Pour the banana-egg mixture over the berries. 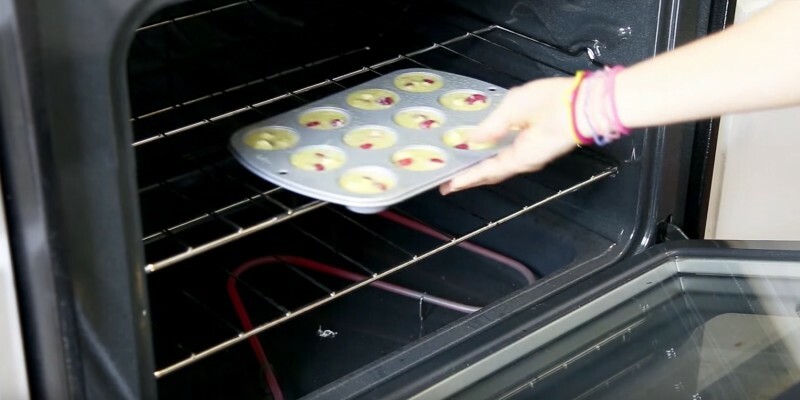 Pop the tin into a preheated oven. Bake at 350ºF (180ºC) for around 12 minutes. You can tell when the muffins are finished by their golden brown tops. 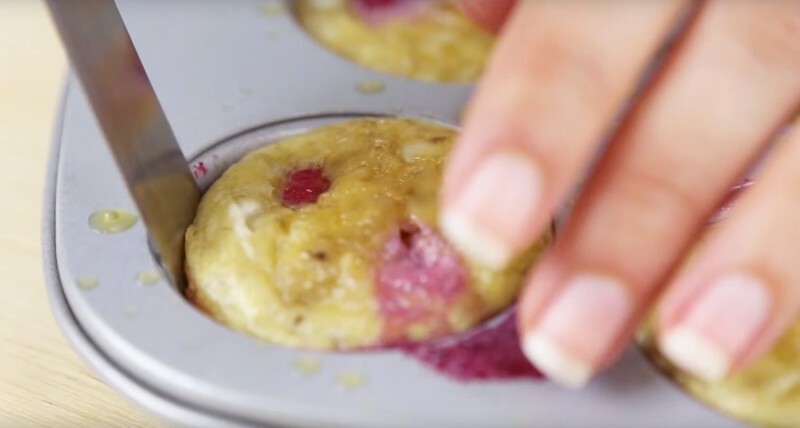 Let them cool a bit and then: get 'em out of there! This is a great idea for anyone with a gluten allergy. But the muffins are tasty for everyone! Try it at home!